TOKYO - Families of a Japanese journalist and Jordanian military pilot remained in limbo Friday, a day after the latest purported deadline for a possible prisoner swap passed with no further word from the Islamic State group holding them captive. Japanese officials had no progress to report after a late night that ended with the Jordanian government saying it would only release an al-Qaida prisoner from death row if it got proof the airman was alive. 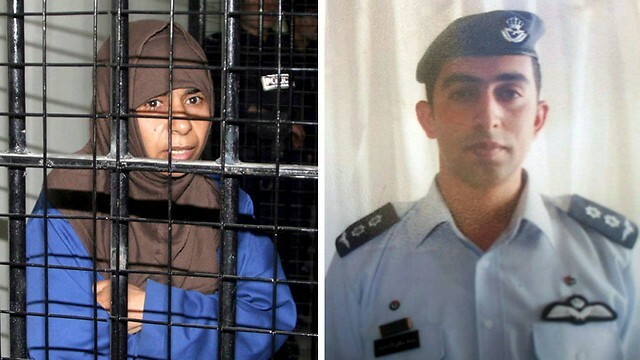 An audio message purportedly posted online by jihadis said the pilot, Lt. Muath al-Kaseasbeh, would be killed if Sajida al-Rishawi, the al-Qaeda prisoner, was not delivered to the Turkish border by sunset on Thursday, Iraq time. It was not clear from the recording what would happen to Goto if the Iraqi woman was not returned by the deadline. After sundown in the Middle East, with no news on the fate of either the pilot or Goto, the families' agonizing wait dragged on. 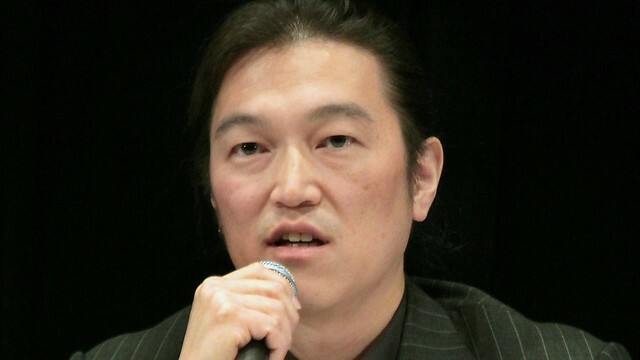 Goto's wife said she had avoided public comment until the last minute to try to protect her daughters, an infant and a 2-year-old, from media attention. Late Thursday, Goto's wife revealed that she had exchanged several emails with her husband's captors, and that in the past 20 hours she had received one appearing to be their final demand. She urged the Japanese and Jordanian governments to finalize a swap that would free both hostages. "I beg the Jordanian and Japanese governments to understand that the fates of both men are in their hands," she said. The ISIS video threatening to kill two Japanese hostages - one has since been killed - if Japan doesn't pay $200 million. In the Jordanian capital, Amman, the pilot's brother Jawdat al-Kaseasbeh said his family had "no clue" about where the negotiations stood. "We received no assurances from anyone that he is alive," he told The Associated Press. "We are waiting, just waiting." On Thursday afternoon, Jordan's government spokesman, Mohammed al-Momani, signaled that since the hostage-takers had not delivered any proof the pilot is still alive. Al-Rishawi, 44, faces death by hanging for her role in a suicide bombing, one of three simultaneous attacks on Amman hotels in November 2005 that killed 60 people. She survived because her belt of explosives didn't detonate. She initially confessed, but later recanted, saying she was an unwilling participant. She is from the Iraqi city of Ramadi and has close family ties to the Iraqi branch of al-Qaeda, a precursor of the Islamic State group. Three of her brothers were al-Qaeda operatives killed in fighting in Iraq. Jordan faces tough choices in the hostage drama. Releasing al-Rishawi, implicated in the worst terror attack in Jordan, would be at odds with the government's tough stance on Islamic extremism. However, King Abdullah II faces public pressure to bring home the pilot, who was captured in December after his Jordanian F-16 crashed near the Islamic State group's de facto capital of Raqqa in Syria. He is the first foreign military pilot to be captured since the US and its allies began airstrikes against the Islamic State more than four months ago. Jordan's participation in the US-led airstrikes is unpopular in the kingdom, and the pilot is seen by some as the victim of a war they feel the country shouldn't be involved in. Al-Kaseasbeh's relatives have expressed such views and accused the government of bungling efforts to win his freedom. "They abandoned Muath, the son of the army!" chanted protesters gathered at a "diwan," or meeting place, in Amman for tribesmen from Karak, in southern Jordan. The hostage drama began last week after the Islamic State group released a video showing Goto and another Japanese hostage, Haruna Yukawa kneeling in orange jumpsuits beside a masked man who threatened to kill them in 72 hours unless Japan paid a $200 million ransom. That demand has since apparently shifted to one for the release of al-Rishawi. The militants have reportedly killed Yukawa, 42, although that has not been confirmed.